Higher expectations, shorter timelines and tighter resources are the new industry norm. Which is why we created SpecLink—the most advanced master guide specification software to improve efficiency, accuracy and collaboration. And with SpecLink now in the cloud, you can produce specifications even faster, easier and better. Streamline every phase of your project with the industry’s best content delivered through the most advanced software on the market. How can SpecLink help to make your job easier? The industry’s most advanced specifications software is based on an intelligent database, rather than word-processing files. Import your existing content, then see how SpecLink’s sophisticated database can speed up production and minimize mistakes. Simplify your workflow with templates, global auto-formatting and user-friendly checklists—including LEED v4 for sustainable design certification. Produce an automatic table of contents and make universal changes throughout your project file. You can also generate reports for submittals, shop drawings, manufacturers and 27 more topics. SpecLink’s comprehensive database is continuously updated and added to—unlike word processing systems, which are updated every five or six years. And updates never overwrite your office master or project customizations. Easily expand or collapse SpecLink’s 804 sections with a few clicks to create outline, short form and full construction specs—from a single source. There’s no need to start over at each phase of your project. SpecLink makes it simple to deliver the level of detail you need from a single, consolidated source. Deciding what to include in your project spec rather than exclude can speed up your editing process by up to 70%. Simply select (or turn on) what you’d like to include from a user-friendly checklist. Text you don’t include remains in the database where you can view and access it at any time. While text deleted from a word-processing file is gone forever, text you don’t use in a SpecLink project can be reinstated with a single click. SpecLink’s relational database includes more than 300,000 color-coded links that speed up editing and help you avoid errors and omissions. Created by our design experts, intelligent links ensure the selections you make in one section are not contradicted elsewhere in the project manual. This built-in intelligence automatically cross-references the options you select between related paragraphs and embedded choices within those paragraphs to make sure your choices coordinate with each other. Remember when keeping your project specifications current required manually replacing endless static word processing files, one painful document at a time, every three or four months? Those days are over with SpecLink’s automatic streaming updates. Our in-house staff of design professionals monitors 3000 reference standards from more than 300 issuing agencies every single day, plus manufacturer names and websites. Up-to-the-minute information automatically merges with your data — without disrupting your workflow, or affecting your edits. Improve coordination and prevent communication breakdowns when you share and collaborate with your team via a common data environment. The cloud makes it easy to share and review specifications with design partners, owners, consultants and contractors. Access projects on any browser-enabled device and set restrictions to control who has access to the information. Cloud collaboration allows you to easily coordinate project plans, specs and cost data. Visualize changes as the design evolves via BIM integration, and automatically synchronize changes in costs, specs and Revit models. Revolutionize the way you work and collaborate with BIM integration. SpecLink is the first specification software platform to seamlessly link specs with Revit models. 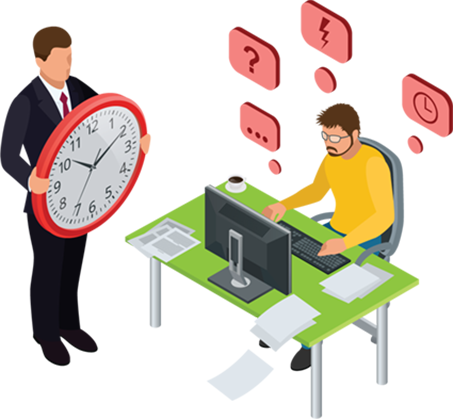 This allows you to avoid costly change orders, reduce errors and save time (and tedium). Identify potential conflicts from a single dashboard and view your integrated BIM models from any web-enabled device—no additional Revit licenses or training required. You can also view embedded BIM object data and automatically adjust specs when you make changes in your Revit model (without overwriting your edits). Visualize any changes immediately and evaluate their impact with integrated data from RSMeans. Whether you’re an architect or an owner, SpecLink makes it easy to build and maintain your office masters. Import unique sections and notes to the specifier to preserve institutional knowledge and easily communicate your intentions to design professionals. Incorporate your preferences, and build upon lessons learned and post occupancy evaluations. Better yet, keep reference standards and manufacturer citations up-to-date painlessly with continuous automatic updates — which never impact customized text. SpecLink makes it simple to share current building information from a common data environment. 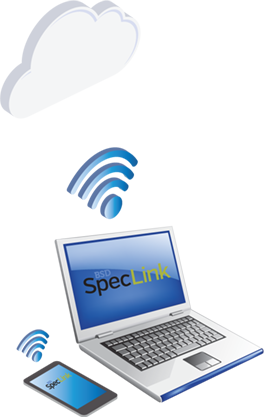 SpecLink’s cost estimating tool was created by design professionals for design professionals. Which is why we made it simple to produce an assemblies-level estimate in 10 minutes. Easily align your project scope and budget, and customize estimates based on location, components or scope. The industry’s best specification content, integrated and updated continuously. More than 300,000 embedded links speed up editing and help prevent errors. Make a change once for key terms found throughout your entire project. 3,000+ continuously monitored reference standards from over 300 issuing agencies. Automatically generate over 30 different project reports, ranging from submittals to manufacturers. Create and insert choice lists into your project or office master to save relevant options within a section or paragraph. Context-specific information to guide the editor’s decision-making process. Designate an office master to build upon and use as a template for future projects. Create custom templates or select a default template to reformat your entire project. Access all of the formatting and editing tools you’re accustomed to in word processing. Easily transition from outline to short-form to full specifications from a single source. Seamlessly import existing content from word processing files. Print and export specification documents at an time, in any format. Visualize changes as your project evolves from any web-enabled device. Seamlessly synchronize specs and BIM models to facilitate coordination and identify potential conflicts.